CBS seems more than happy to remake every show it can get its hands on, having given us "updated" takes on Hawaii 5-0, MacGyver, SWAT, and now Magnum PI and a reprise of Murphy Brown. 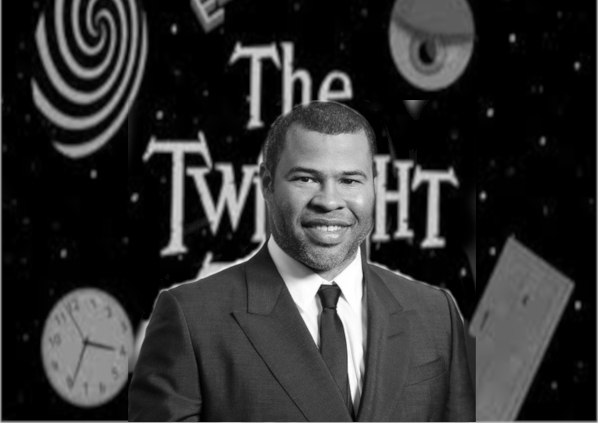 I'll have more to say on the latest two entries in a separate post, but in the meantime, it's also been announced that Jordan Peele will be bringing back The Twilight Zone on the CBS All Access online platform. "Time Enough at Last": A put-upon bank teller survives a nuclear holocaust and is relieved he'll have all the time in the world to read, only to find out his Kindle has lost its charge. "To Serve Man": Friendly aliens are finally revealed when their big plan for humanity is revealed to be a series of Delish videos on YouTube. "Eye of the Beholder": A woman wrapped in bandages hopes that she can be "normal" looking, but when the bandages come off, she still looks naturally beautiful. 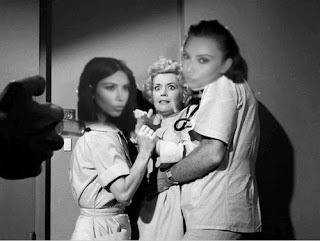 She goes nuts, and is chased around the hospital by the staff, who all have plastic faces with duck bills and are played by the Kardashians. "The Rider" (formerly "The Hitch-Hiker"): A personified Death torments an Uber driver. "A Penny for Your Thoughts": An insecure, sensitive bank clerk is driven mad when the Unfollow button ceases to work for him on Facebook. "It's a Good Life": A town is terrorized by a small boy with the power to banish (or worse) anyone he doesn't like. The problem is he can read anyone's mind. Eventually the town figures out that he's just reading their tweets. "The Invaders": A solitary woman encounters strange, miniature beings who torment her. Eventually we find out that she's just playing a VR version of Pokemon Go. "Nightmare at 20,000 Feet": A nervous flyer gets even more paranoid when the plane flies through a storm. It gets that much worse when he looks out the window and sees Roseanne Barr on the wing. 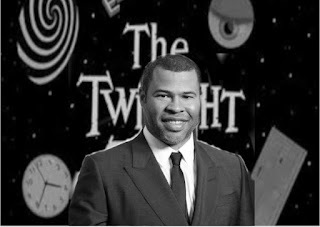 "Five Characters in Search of an Exit": Not actually a Twilight Zone episode, this is just a bonus episode of Big Brother. JL Franke is a fan of both hard science fiction and hard fantasy. He has been collecting comics for over 40 years and has been an on-and-off active member of online fandom for 25. Those interested can find other writings at his personal blog, NerdlyManor.com. When not geeking out, you may find him at a baseball park or cheering on his favorite college and pro football teams. In his spare time, he is chief scientist for a research and development laboratory somewhere in the Washington, DC greater metropolitan area. He is internationally renowned for his lack of photoshop skills.